This work, created in 1924 in Viareggio, was displayed at the Biennale Romana in 1925. Like other works created in family and private circles, Rambelli pursued an insistent predominance of ornamental motifs in a style or work of art, still in synch with Decò aspects characterised by a simple and coquettish vein that seduces the viewer immediately. Even in the profile of the full-length figure, with its slightly undulating rhythm, with a stylised and symmetrical signature, the persistence of the Art Nouveau (Liberty) style can still be recognised. Following what Orsola Ghetti Baldi wrote, the work is related to Baccarini’s pretty little girls, but stripped of their realistic character because a dry profile takes over, that focusses on a few essential data, typical of the trend at that time: the tom-boyish dress, the Mary Jane shoes. This figure of a young girl is also to be connected – in an endless circle of taste among the members of the Baccarini cenacle – to some works by Francesco Nonni, which is to say the children sculpted in ceramic or certain of his illustrations for children. 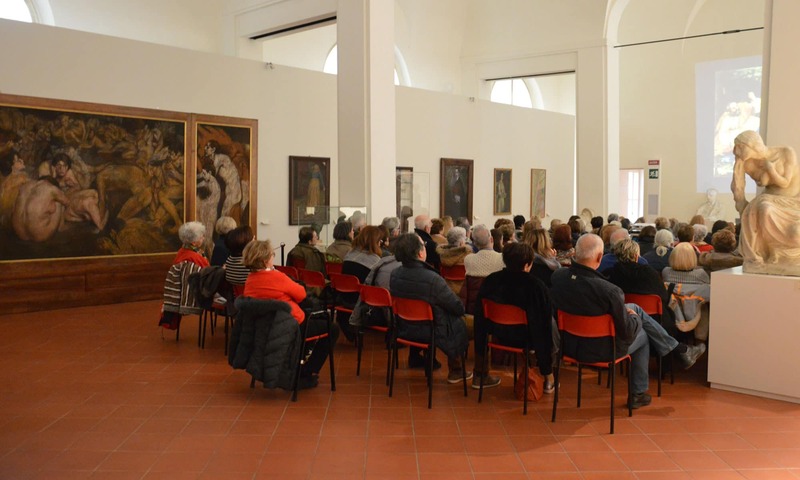 This work was restored recently thanks to the Arts, Cultural and Natural Assets Institute of the Region of Emilia-Romagna.